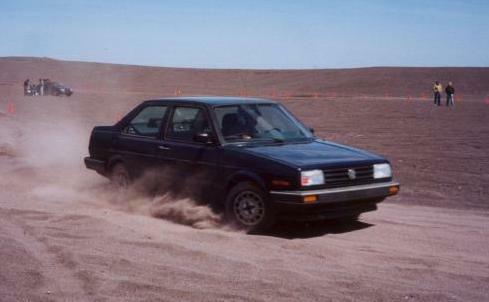 A RallyCross is similar to an autocross. A tight, twisty course is marked out with cones. Course design emphasizes driver skill rather than outright speed. RallyCrosses are held on loose surfaces such as snow or gravel. Just about any closed top street legal car or truck that can pass a simple tech inspection can enter.